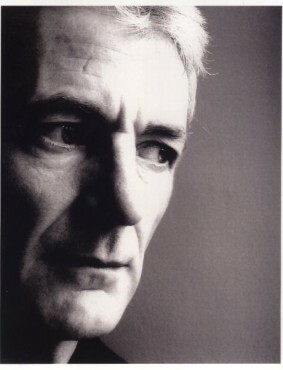 Peter Hammill was born in London in 1948. His career began as the singer and songwriter for Van Der Graaf Generator, the chaotic, scary and highly influential underground group of the Seventies. The adventurous attitude which they brought to their music remains a feature of Peter’s work to this day. By the time the group folded in 1978 Peter had already recorded seven solo albums, covering numerous lyrical and musical bases in the process. If one did not know otherwise the proto-punk of “Nadir’s Big Chance”, the full-blown emotion of “Over” and the scatter-gun arrangements of “The Silent Corner” could well have been the work of three entirely different artists. Peter’s work has always been independent and uncompromising and it is perhaps because of this that he has been cited as a major influence by so many other artists. In their respective contexts he is happy working with pure sonics as he is with fully orchestral songs, with three-chord electric guitar “tricks” as with piano ballads. In addition to his “normal” output of twenty-nine solo recordings of songs (and several live albums) he has also written music for ballet, film and television. He continues to tour throughout Europe and many other countries world-wide, both under his own name and latterly with the reunited and stripped-down VdGG trio. VdGG, too, continue to release records with some regularity. Peter survived a heart attack in December 2003. His appetite for writing, recording and performance appears undiminished after this intimation of mortality. He continues to subscribe to the idea that it is more important to apply literacy, intelligence and passion to the making of music than to chase after commercial success.